I hope you all had a wonderful holiday break filled with family, food, spirits, and more food. The new year is coming -- and with it the urge to purge -- but it's not over until the fat lady bursts, which is scheduled to occur sometime around midnight on December 31st, 2008. So until then, let's continue to eat, drink and be fabulously merry, shall we? 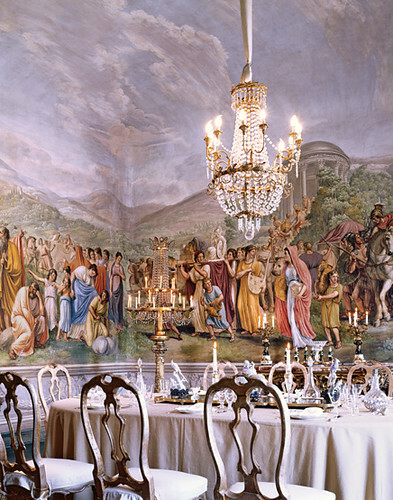 A tour of some famous fashion designers' private homes ought to keep the momentum going because, as the great poet William Blake said, "The road of excess leads to the palace of wisdom; for we never know what is enough until we know what is more than enough." 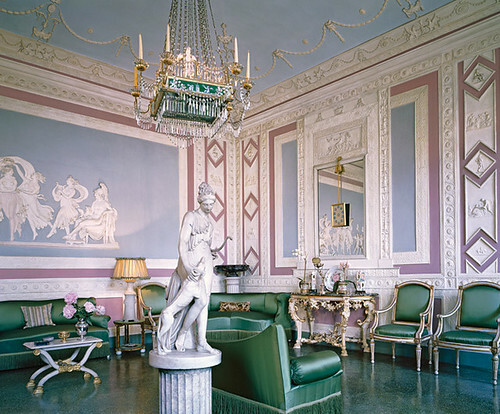 Let's head toward the palace of wisdom by starting out with a tour of the Pucci ancestral home, owned by the family since the Renaissance. Because, that much history is definitely excessive. 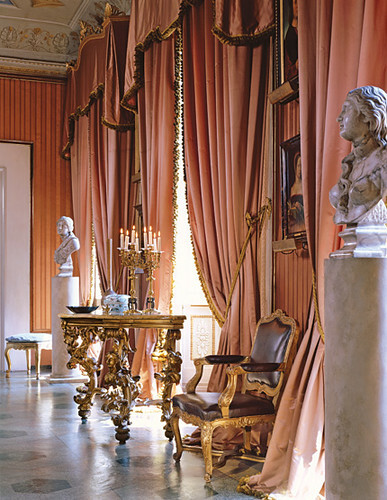 Oh, you know, it's just a room full of 18th century plasters arranged around an antique marble sculpture of the goddess Diana. Nothing special. I know Karly wants that gilt wood console table, and the ornate draperies made at the Pucci's centuries old silk workshop are fit for a king, although I wish they were psychedelic Pucci print. Then they would be fit for me. They had me at fresco. Add in some bespoke 18th century crystal glassware, and I'm sold. I just hope these fools never invite me to dinner while the good china is out, as I'm prone to break the pricey stuff, although paper plates and Ikea stoneware are always safe with me. Even my subconscious behavioral tendencies have expensive taste. 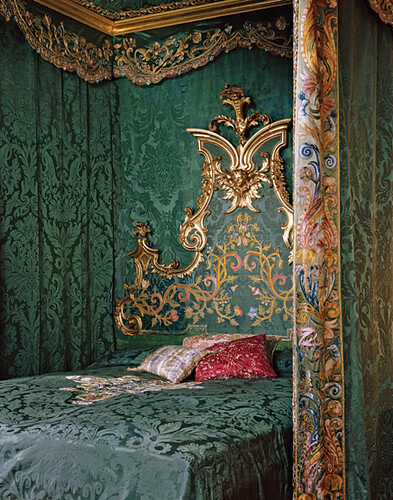 I'm sure the 17th century bed and its linens are machine washable. Now that view of the Duomo from the Palazzo window is just over the top, people. Seriously, could you take it down a notch or a million? 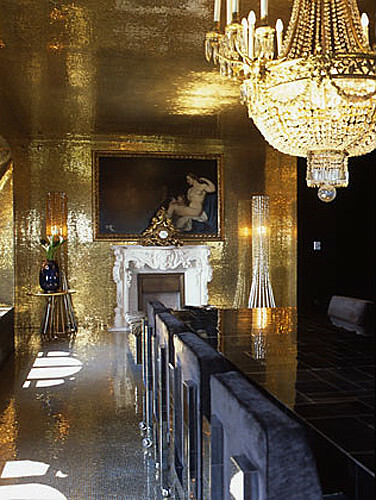 Pricelessness is so gaudy. 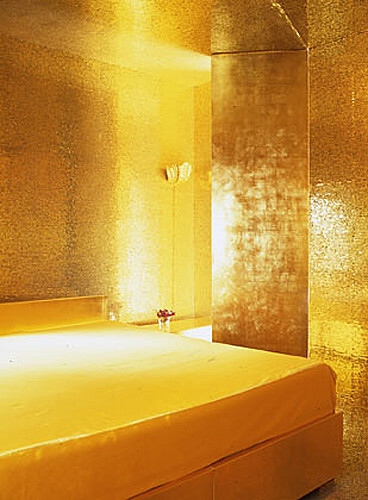 For a contemporary "more is more" aesthetic, check out Dolce and Gabbana's shiny gilded modern Liberacesque love pad, gorgeously photographed by Rebecca Duke. Yes, Virgina, there is a Santa Claus. And he can fit a solid gold bedroom in his knapsack. Oh, yes they did. If that's not excessive, I don't know what is. Although a million pillows covered in matching Steven Tyler heads comes close. 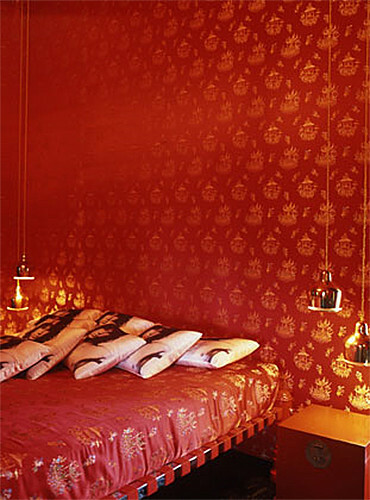 Ok, savvy readers, whose head is on those pillows? I'm sure that one of our fashion conscious brethren can unearth the answer. Whoever it is, the overall effect is awesomely creepy. You ain't got a thing, if you ain't got that bling. Black + gold/crystal = high quotient of lustification. 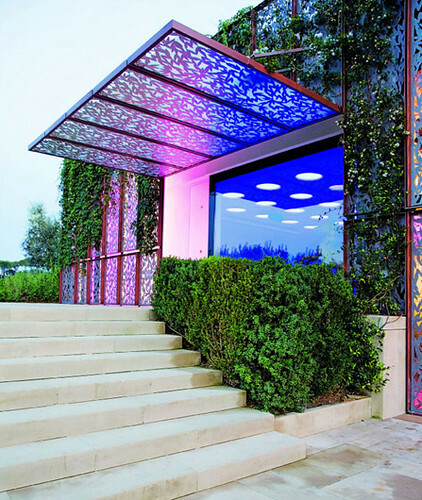 What the Pucci curtains should have looked like. 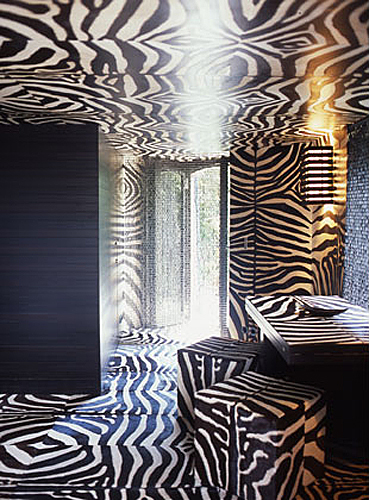 Moving on, I found the ultra modern Florence home of Roberto Cavalli to be equally excessive in its own, special way. 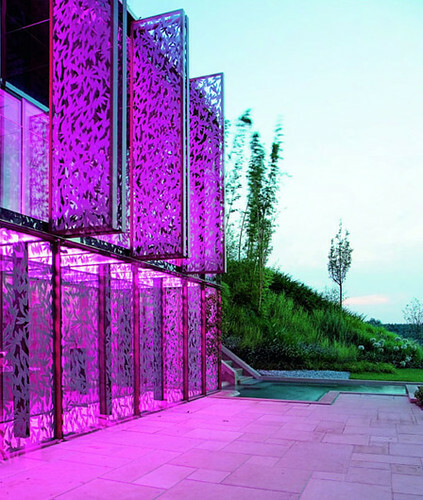 Pictures courtesy of Home Design Find. It's like the Epcot Center on acid. Dude, it IS a small word, after all! 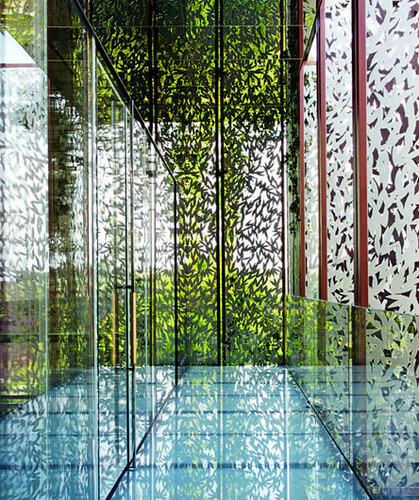 It's also kind of like a modern update of the hall of mirrors at the Palace of Versailles. I'm not going to lie. 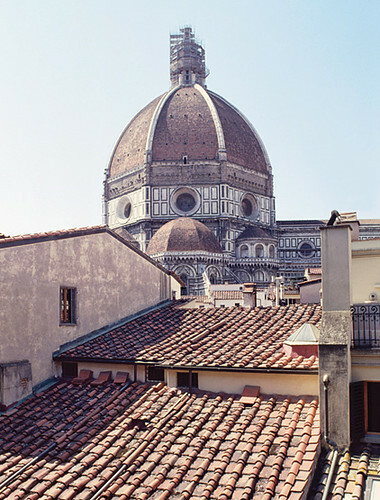 I'm ready to pack my bags and move to Florence. I'm a bit concerned about the bathrooms, though. I'm not convinced that the lighting is the least bit flattering. Plus it needs more gold in there. 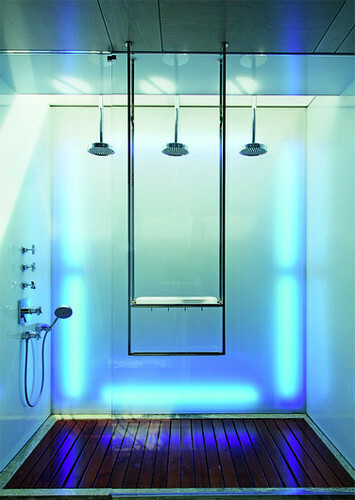 And maybe a disco ball. That's a pretty big dance floor Roberto's got going on. 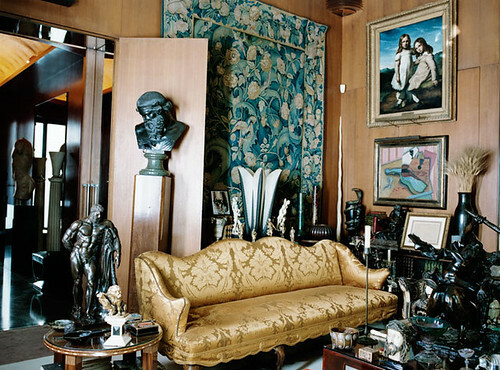 Finally, the late, great Yves Saint Laurent may not have had an ancestral home since the days of the Renaissance (he wasn't that old, you know), but he certainly found a way to trick out his Paris apartment in a princely fashion. 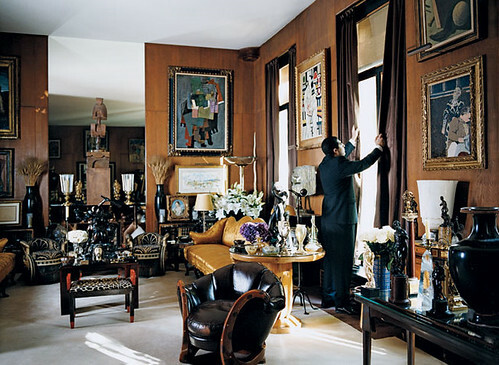 He just filled it with with treasures a museum would die for, including a 15th century tapestry, a Theodore Gericault painting and a Juan Gris painting, worth $5 to $6 million each. Hold on, though -- you ain't seen nothing yet. Oh, that's just a little Francisco Goya on the easel, and a wee Giorgio de Chirico on the wall. Or perhaps you'd fancy a 20's Eileen Gray dragon chair. It's worth about $5 million, so don't let the kids jump on it. Actually, keep the rugrats out of the salon, entirely, because you wouldn't want them to chip the wooden Brancusi sculpture, smudge the Picasso painting in the background, breathe on the Cezanne watercolor, or muss the Fernand Leger painting. 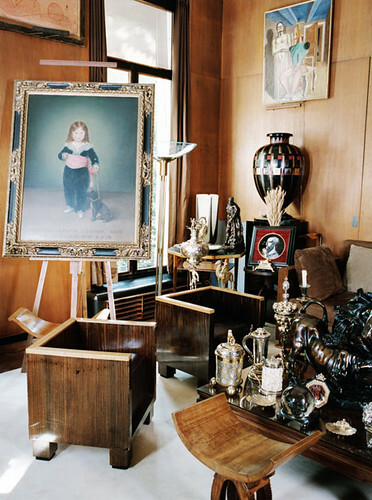 Any incidents could set you back $50 million -- the estimated worth of the contents of THIS ROOM ALONE. 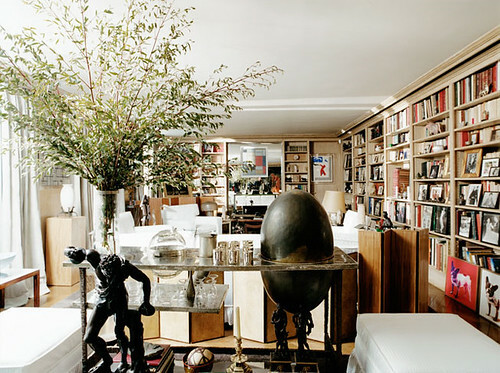 Laurent also owned a crazy ovoid metal bar designed by recently deceased, zany mastermind Francois Xavier Lalanne. Oh, and that's a Mondrian in the background. No biggie. 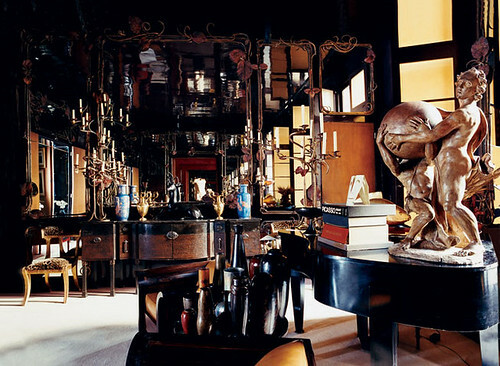 Lalanne's wife, Claude, designed the wall of mirrors in the background of the music room, which also features a terracotta sculpture from 1707 and an Eileen Gray chest with an estimated value of $3.8 - $6.4 million buckaroos. Note to self: invest in anything Eileen Gray made except for that douchey table that everyone and their mother has knocked off/re licensed. 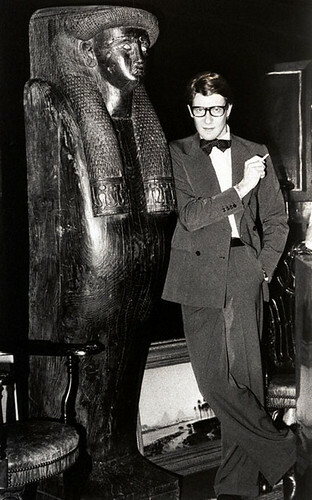 Finally, the man himself, Yves Saint Laurent (circa 1980), would like to wish you all a fantastic New Year. With any luck, this post finds you healthy, not too unwealthy, and a little bit wiser from all our indulgent excesses. And here's to hoping that we all look as natty whilst casually leaning against our Egyptian sarcophogi. Monsieur Laurent wouldn't have it any other way.